CARFAX ONE OWNER NO ACCIDENTS. CARFAX One-Owner. Clean CARFAX. 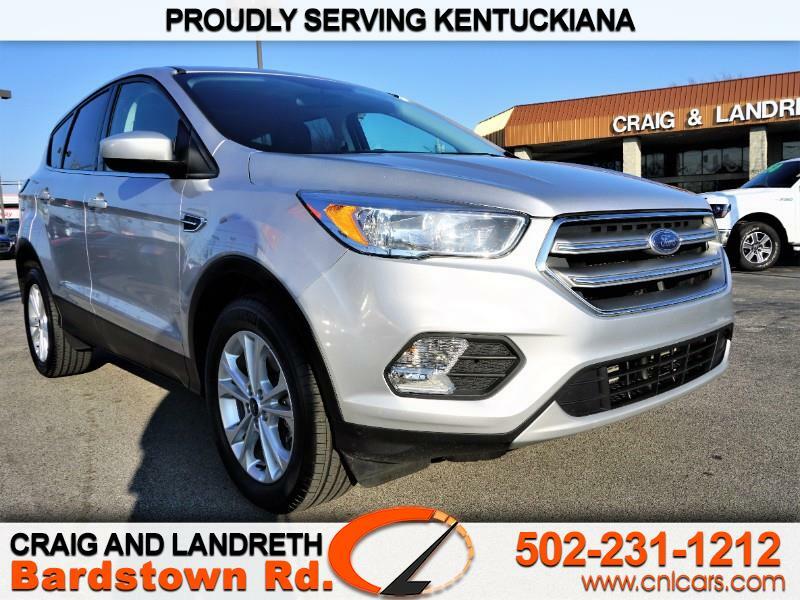 Silver FWD 2017 Ford Escape SE EcoBoost 2.0L I4 GTDi DOHC Turbocharged VCT Priced below KBB Fair Purchase Price! 22/29 City/Highway MPG Odometer is 638 miles below market average! Awards: * 2017 KBB.com 10 Best SUVs Under $25,000 * 2017 KBB.com 10 Most Awarded Brands * 2017 KBB.com Brand Image Awards Proudly serving Kentuckiana for over 40 years with an A+ BBB Rating! Having 7 convenient locations and over 800 vehicles, we're sure to have the right car at the right price! Inquire to schedule your VIP test drive today. All prices plus tax, title, lic, and dealer processing fee.